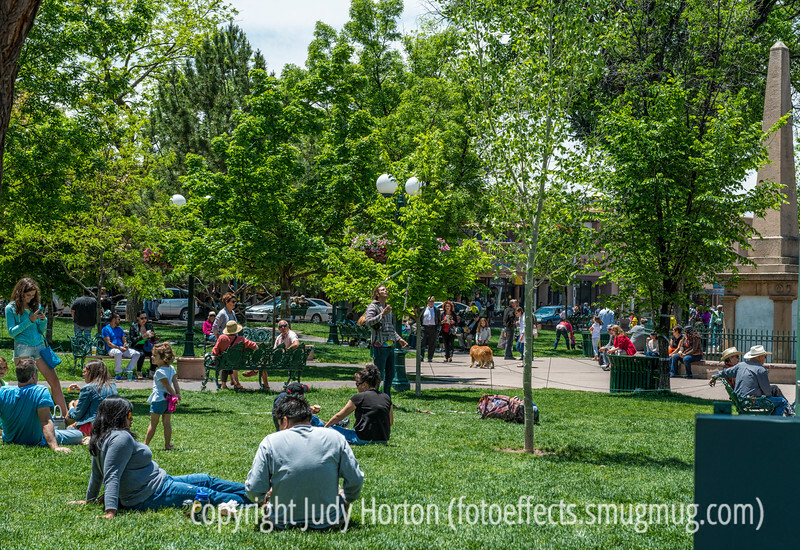 The Square in Santa Fe - check this out in the largest sizes. I love the expression on the face of the girl looking at her phone, as well as the man looking up. Do you see the person showing a bit too much as she bends over?